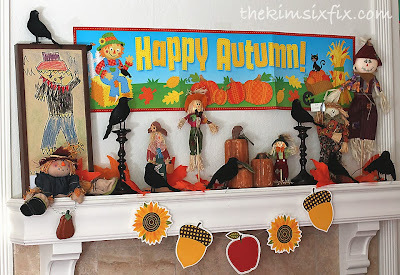 Fall officially started this weekend, and I've already shared my formal autumn mantle, located in the living room. 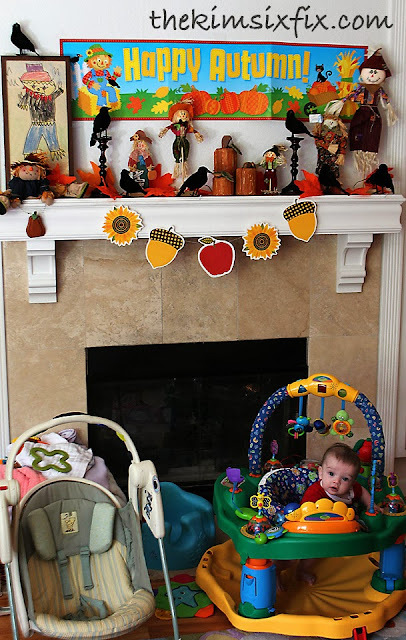 I also have a second fireplace in the family/playroom. Because this is the room that the kids hang out in, I wanted to make it a lot more fun and kid friendly. 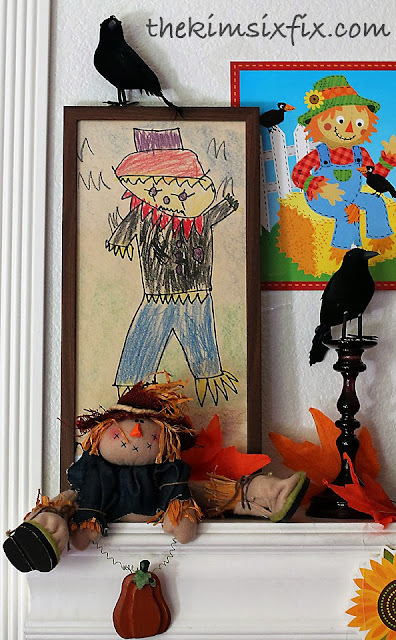 I decided to go with a scarecrow theme and featured some of my daughter's kindergarten artwork. 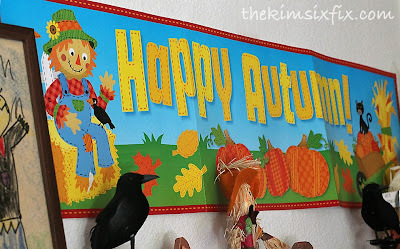 I found a "Happy Autumn" classroom banner which I thought was perfect. Remember this guy? 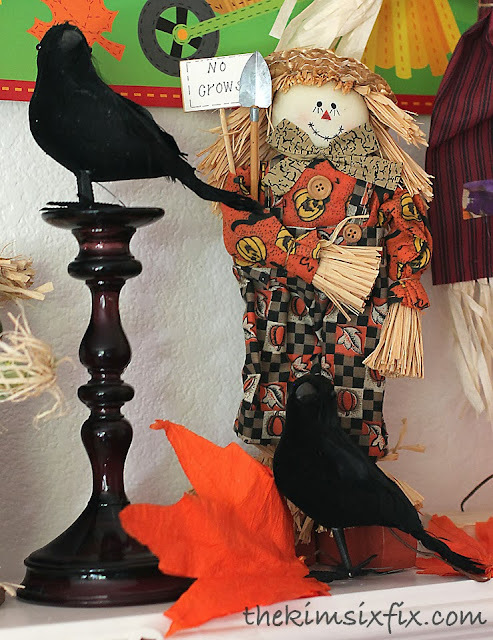 A dollar store scarecrow pick that I built a stand for. And just so I am keeping it real.. the reason there aren't any full fireplace shots is because the playroom is packed to the gills with baby stuff! It is the playroom after all! PICK ME! I would love to make over the front yard! 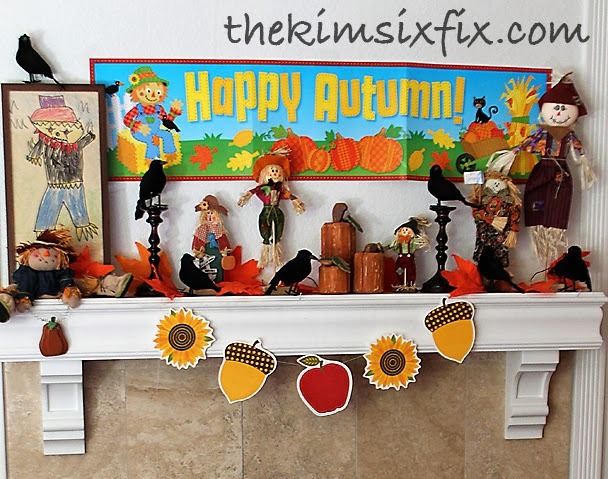 I love your mantle. 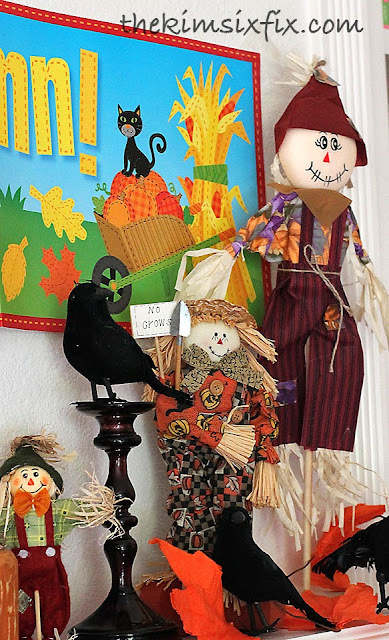 When I looked at all of the little "postage stamp" pictures on Sarah's website, your scarecrow caught my eye. Very nice. And so it the little one that is "keeping it real" in your photo. 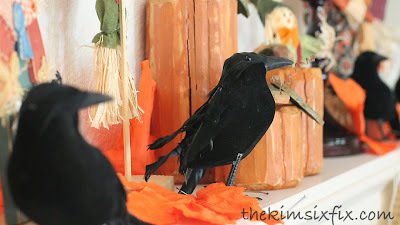 :) Happy fall! 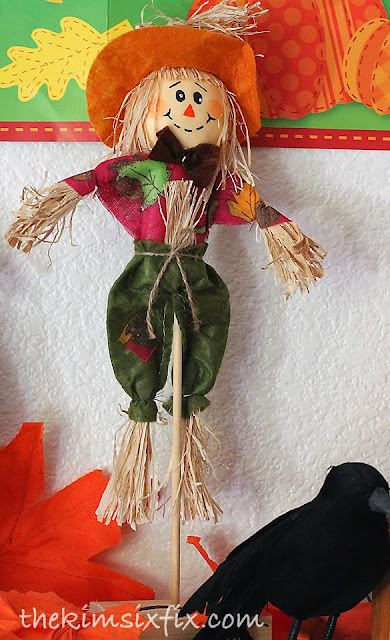 Adorable "little scarecrow" of your own I see. Just love your matle. Perfect.